Kaley and Nick celebrated their nuptials with a downtown St. Pete wedding filled with gorgeous peachy pink flowers, gold chiavari chairs and lots of milk bottles. 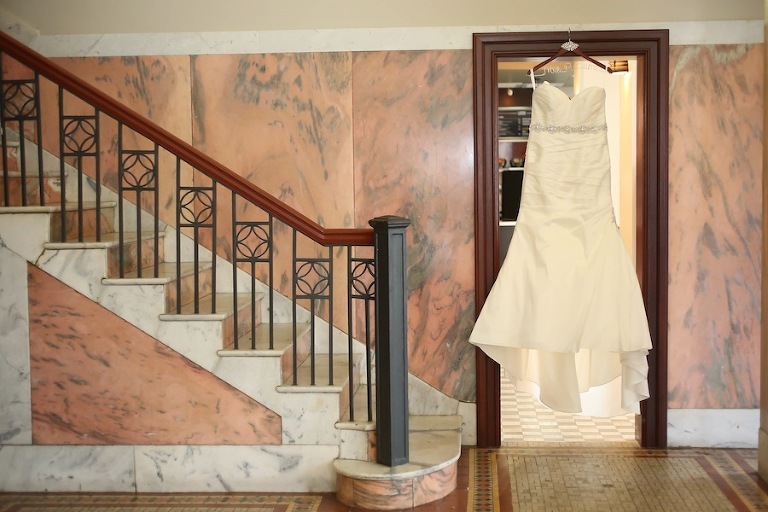 To add to glamour to her St. Petersburg wedding, Kaley chose an unique wedding venue that added character. One of the most important elements to Kaley and Nick was the wedding ceremony. 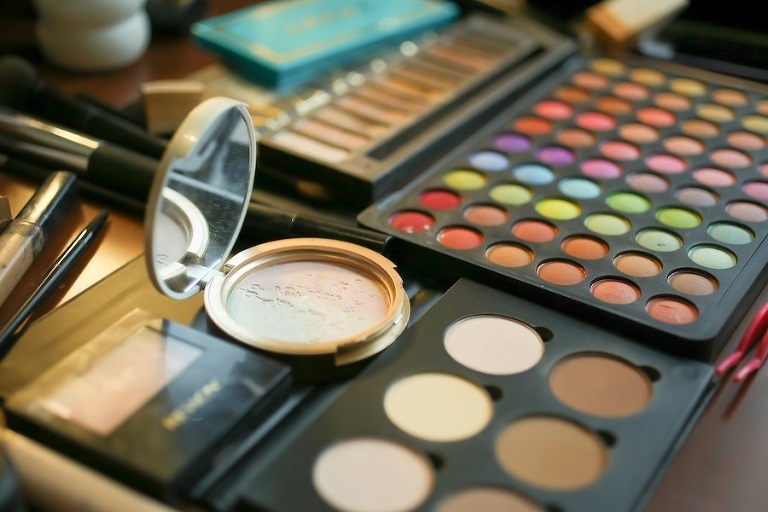 What did you look for in a makeup artist? I had worked with Michele Renee The Studio in another wedding as a bridesmaid and found them to be very professional. So when I started searching for my own vendors, I already had them in mind. Then after doing some research, I found that their prices were more reasonable than many of their competitors. I worked with Indira and she was really great! She arrived early and her and her two assistants did a beautiful job on everyone’s hair and makeup. I was very pleased! 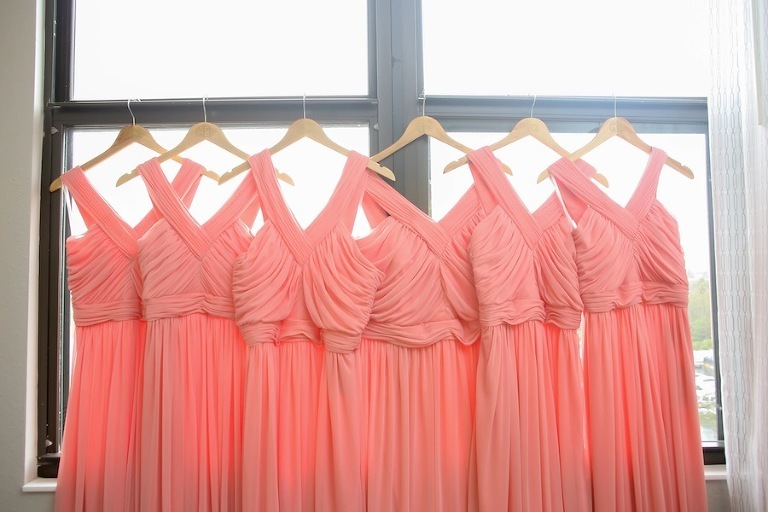 We purchased the bridesmaids dresses from Bella Bridesmaid. Their level of service is really excellent! The girls there are so sweet and made the entire process very easy for us. They helped me find my perfect shade of peachy pink and even showed me an upcoming style that hadn’t be released yet, which ended up being the dress I chose. I wanted something a little different than the popular strapless chiffon option that many bridesmaids wear. I thought this had a pretty neckline and was very flattering on all the girls. Nick proposed at Karnes Stables in Lutz, FL. It’s a popular wedding venue, but turns out we were the first engagement they had ever had! My parents told me they had run into an old friend who recently purchased a beautiful piece of property in Lutz and had invited us to come see it. When we arrived to the property, we were greeted by the owner (who I still thought was my parents’ friend at the time, but later discovered that this story was entirely fabricated). He directed me to a tree covered lawn with lights strung from mossy oaks to a beautiful white barn. As I took another step closer, I looked across the lawn and that’s when I saw him. Nick was waiting for me at the end of a white aisle lined by candles in the back of the barn. As I approached the barn, I could hear the sweet sound of our future wedding song playing in the air. When I reached him, we immediately embraced and for a moment, time stood still. Once we wiped away our tears, he shared some of the most loving words I’ve ever heard, got down on one knee and asked me to marry him. Vintage glamour. We wanted our wedding to feel very romantic and intimate. I wanted long family-style seating with loads of candles and soft, warm lighting. I also wanted to bring some glamour to the mix, so I incorporated gold to offset the vintage milk glass. I didn’t want it to get too “shabby chic” with the milk glass and some vintage frames I used. Peachy pink, gold and white. I was very particular about the type of pink I was going for. I wanted it to be a punchy color, not too washed out, but not too vibrant. I didn’t want too bubblegum pink or too orange or blushy/pale. I selected a mix of flowers that ranged from pale blush to vibrant coral. We just felt like NOVA 535 fit us perfectly. We knew immediately that it was the vibe we were looking for. It was cool and romantic, without being stuffy. It was a huge, blank canvas, but felt completely intimate. It’s so chic and has a great urban feel to it. We fell in love with the wood floors and brick walls. I was really looking for wood floors and high ceilings — the brick walls were like icing on the cake! With the low lighting, it just had that perfect romantic vibe we were going for. Plus, the staff and Ruby Thomas (coordinator) were absolutely fabulous to work with! Do what feels authentic to you! It’s easy to get caught up in the Pinterest world of weddings, but at the end of the day, it should feel true to you and your groom! Prioritize! We accomplished tasks by tackling what was most important to us first. Location was most important, so we focused solely on that until we found NOVA 535. Then we switched our focus to photographers and focused solely on that until we found the one, and then food, and so on. Compartmentalizing my planning in a prioritized way took all of the stress away.